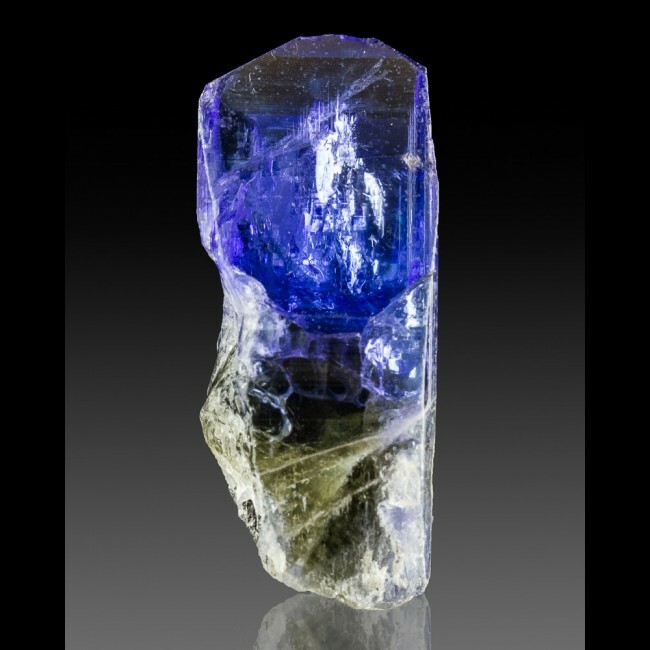 Size 1.4" x 0.6" x 0.5"
Here's a 100% natural, untreated crystal of TANZANITE. The color is outstanding - a vibrant cornflower blue that is luminous and riveting. When turned to the side, the color changes to a fascinating violet purple-blue hue, due to the phenomenon of dichroism. 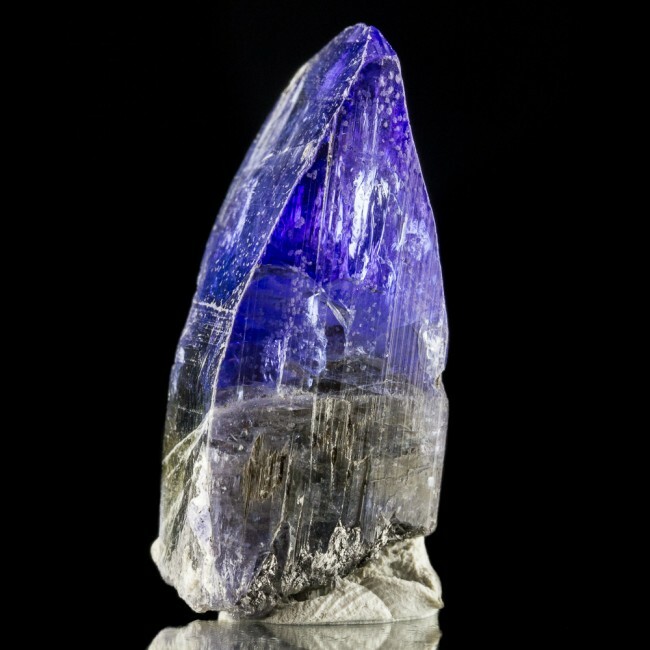 This is a superb example of a tanzanite crystal for the size and price. 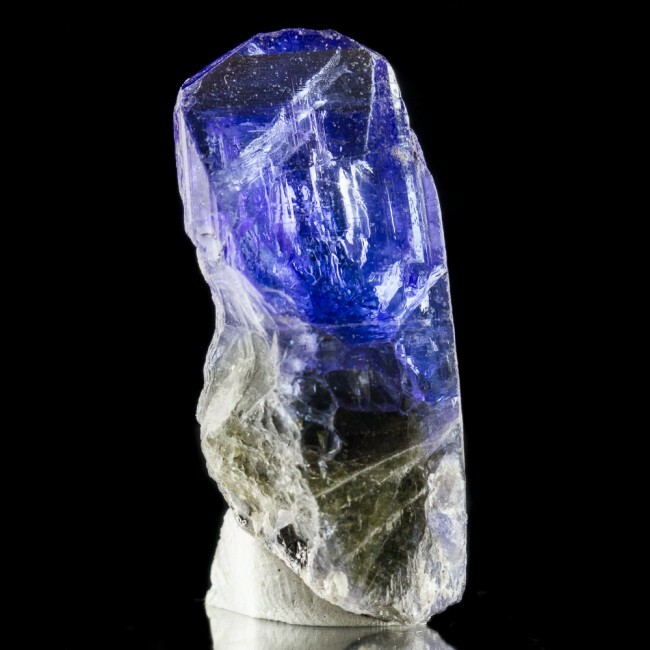 It was taken out of the local miners' concession at Merelani Hills, Umba Valley, Lelatema Mountains, Arusha Region, Tanzania. 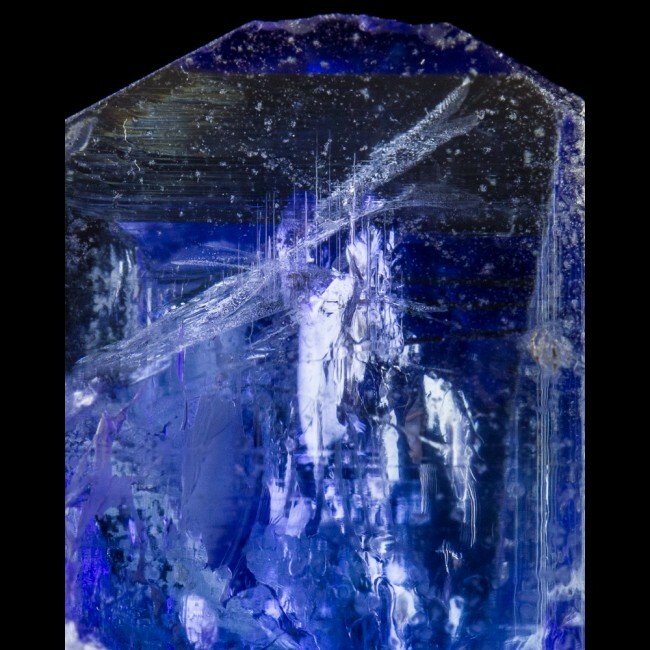 I am always on the lookout for high quality, reasonably priced tanzanite crystals. Naturally I was delighted to discover this and a few other good ones at the Sainte-Marie-aux-Mines Gem, Rock & Mineral Show in the room of a dealer who visits Tanzania several times a year.